For the Copenhagen Institute of Interaction Design's Design Through Thinking Out Loud workshop, each team was given a prompt to reinvent a Copenhagen landmark in anticipation for a city-wide festival in 2018. My team chose to make our landmark Papiroen, an island that formerly served as a paper storage for the Procurement Association of the Danish Press. It has since been revamped to host a variety of creative establishments including Copenhagen Street Food hall, Experimentarium science museum as well as many art galleries and cafes. We made multiple visits to our site of study and conducted user interviews to gain insights on what drew visitors to the island, their needs and expectations. 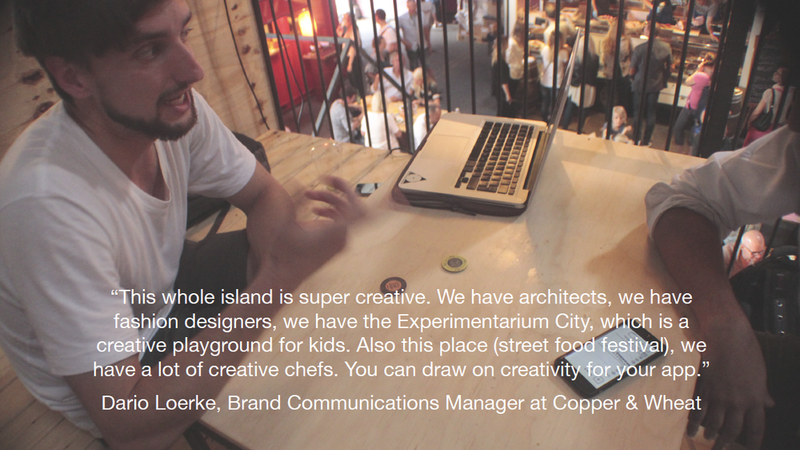 We interviewed families at Experimentarium as well as employees at the Copenhagen Street Food Festival. The museum-visiting families saw the exhibit as a valuable learning experience for adults and children alike. There were visitors from all around the world ranging from local teachers to families from the states. Many expressed that they had visited similar interactive museums before. Some mentioned that the price was something that may deter them from returning since it was quite expensive. 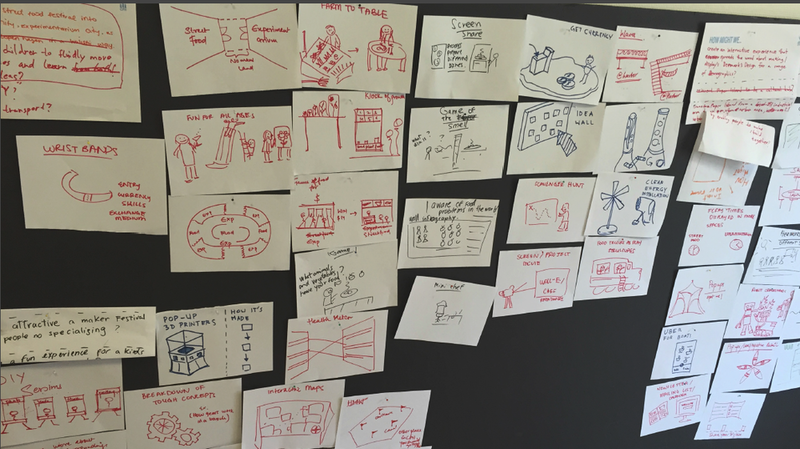 Inspired by the many innovative exhibits we saw at the Experimentarium museum, we began sketching activities and projects that users could engage in. These ranged from smart wristbands that would track entry, skills and currency, to idea walls, to food truck play structures. We settled on the idea of a project collaboration app, where people can decide to propose a community project, like building an art sculpture or maintaining a community garden, and find teammates to schedule meetings to work on it. Papir Island would be the incubator and space for people to come together and innovate. We used the POP (Prototyping on Paper) app to perform some user testing and iterated based on the feedback. We moved on to design a higher fidelity version of the app using Invision and AI. As one of the design first projects I have done with a team, this was a great opportunity to work with different people with various skillsets. One was a graphic designer, another an industrial designer and one other UX designer. With a short timeline of 5 days, we had accomplished a lot and with more time, we could have tested our final prototype and gotten feedback to do more improvements.